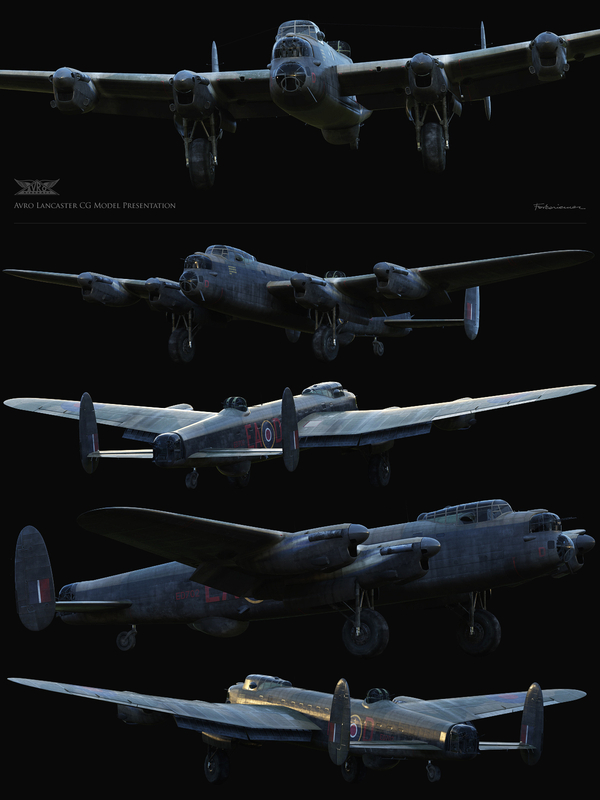 I would like to present my Avro Lancaster CG Model that I finished few moths ago. I was trying to achieve maximum of realism and details. The model was done for the series of images I wanted to create. The basis for this model were photos of preserved Lancaster and war-time photos. From few months I returned to this model and with great help of world experts I corrected that so it looked like war-time Lancasters and started to build the highly detailed dambuster version, never seen from the time of war.